What to do in the wind! The last two weeks have been a challenge for the men and women playing on the PGA and LPGA Tours. Playing in the wind is the most difficult environmental challenge that professional golfers face. Rain and cold are not fun to play in, but at least the golf shots are predictable. In windy conditions your balance in constantly being compromised, the wind speed is inconsistent, and the golf ball is greatly affected by the resistance of the wind. 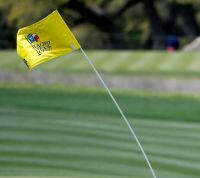 Players that grew up in Texas and Florida generally know how to play in the wind, because that element is usually present when they play. A lower penetrating ball flight is the preferred shot into the wind. An old saying is, "when breezy, swing easy". What the novice player tends to do is play the ball back in the stance and swing harder (to get it through the wind) and hit down on the ball. This will result in the ball having more backspin and will raise and climb higher into the wind. Even though the ball might be well struck, the spin and height could knock as much as 30 yards off a five iron shot. Since the most difficult shot to hit is the one directly into the wind, I will concentrate on the technique to play that shot more consistently. 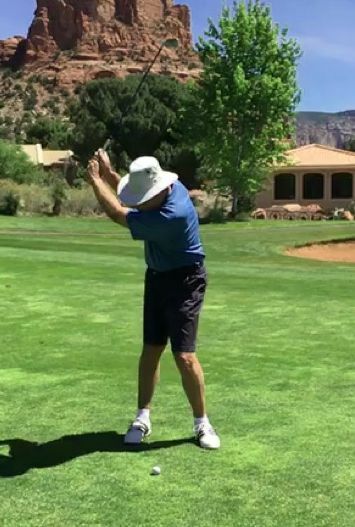 The good advice from "breezy, swing easy" is to not swing hard and not to create excessive backspin. That said, the primary goal in your swing is to level out your swing path, to and through the ball, keeping the club as low to the ground as possible. 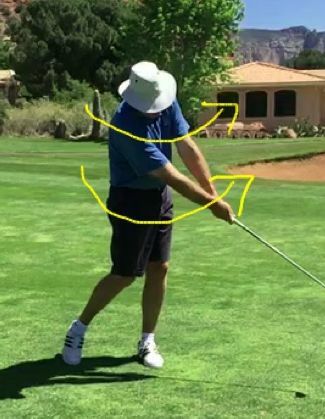 This requires that you shift your weight a bit more through the shot than a regular non-windy shot and that your shoulders and hips remain more level going through the hitting area. 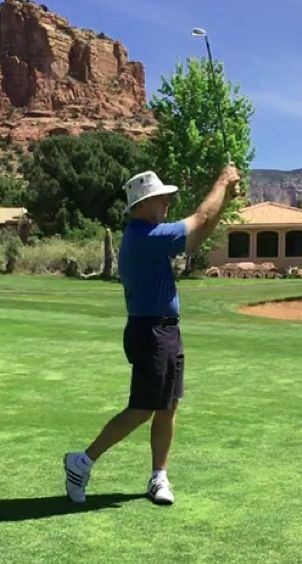 I recommend that you use a less than full backswing (preferably 3/4 swing) using less wrist break then normal and with little weight shift to the right side (keeps you more balanced in the wind). 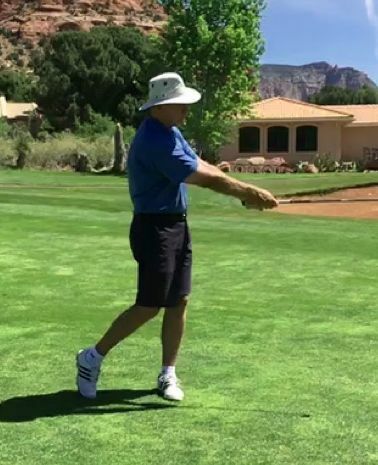 Then move and turn the shoulders and hip towards the ball so that at impact about 60% of your weight is on the left foot and your hands are ahead of the clubhead. If you keep your shoulders and hips turning level and continue moving to the left side, the club will naturally stay low through the hitting area and produce the low trajectory that is desired. 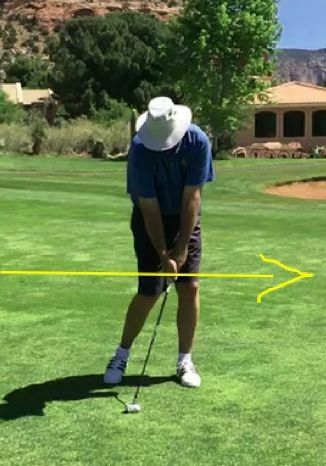 Finish fully on the left side with the hips and shoulders over the left leg in a straight line. The preferred finish will also be a 3/4 finish. Playing in the wind is an acquired skill. You should practice 1/2 and 3/4 shots on the range with varying distances and heights and with a variety of clubs. Depending on the winds strength, your club selection should be at least one to two clubs stronger and three to sometimes four clubs stronger in heavy winds. Keep a firm base in the wind, limit your wrist break, swing easier with more club, keep the club low through the hitting area and you will enjoy playing in the wind a lot more.